Austin's Solid Waste Services Department needs a new name, and they are calling on the residents of Austin to help them decide. They're putting it to an online vote and so far, their overwhelming choice seems to be "The Fred Durst Society of the Humanities and Arts." Fred Durst is the frontman for the hard-rock band Limp Bizkit, and from this photo evidence, the name seems appropriate. Besides being an idiot and a jerk, "Nookie" is perhaps the worst song of all time. This title may be even better fitting than when San Francisco tried to rename its waste plant after President George W. Bush. Austin city officials, however, aren't in love with the idea. 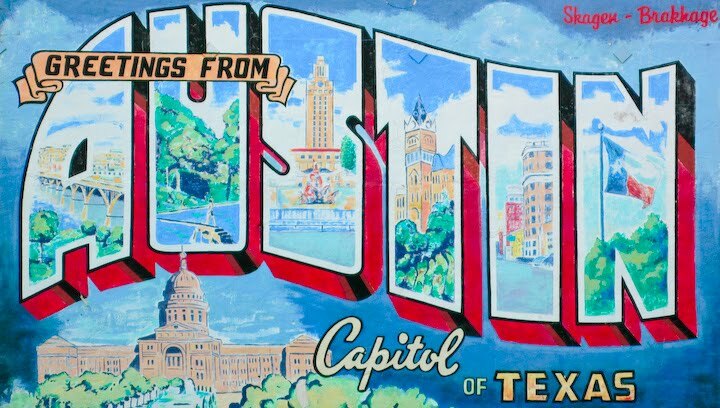 City of Austin public information specialist Jennifer Herber tells NPR's Linda Wertheimer that the name will ultimately be decided by the city manager and the poll was just for "public input." "Obviously we're going to go with what makes the most sense for Austin and for the department," she says. Perhaps we've finally found a place to stick that cookie, Fred. The Austin Department of Are You Gonna Eat That?